I love that January is associated with a new year full of resolutions, hope and promise. What I don’t love is that it’s also the month of calorie counting and carbohydrate deprivation. At least for me. And, you know, an estimated 45 million other Americans. But… it’s not January yet. Heck, it’s not even Christmas… which means my kitchen is doubling as a cookie factory, and if you’ve seen me lately, there’s a solid chance that I was dusted with flour and sugar and cinnamon-ey goodness. December is a notoriously busy month, and 2014 has been no exception. The first half of December was consumed by final exams and lab reports, and after many late nights (and a concerning amount of caffeine intake), I’m thrilled to have completed the last of my nursing prerequisites. During those stressful weeks, The Holidays served as the proverbial light at the end of the tunnel. I entertained the idea that everything would calm down once I finally finished my last exam, picturing myself shopping leisurely in the city for the perfect holiday gifts, meeting friends for lunch or cocktails and cozying up with a hot toddy while enjoying my 30-somethingth viewing of The Holiday or Love Actually. While I have had the chance to watch Love Actually (with my awesome God parent’s for their inaugural viewing) – those “leisurely” shopping excursions and lunches with friends have been replaced with frantic errands and a lot of online shopping. (Thank goodness for Amazon). 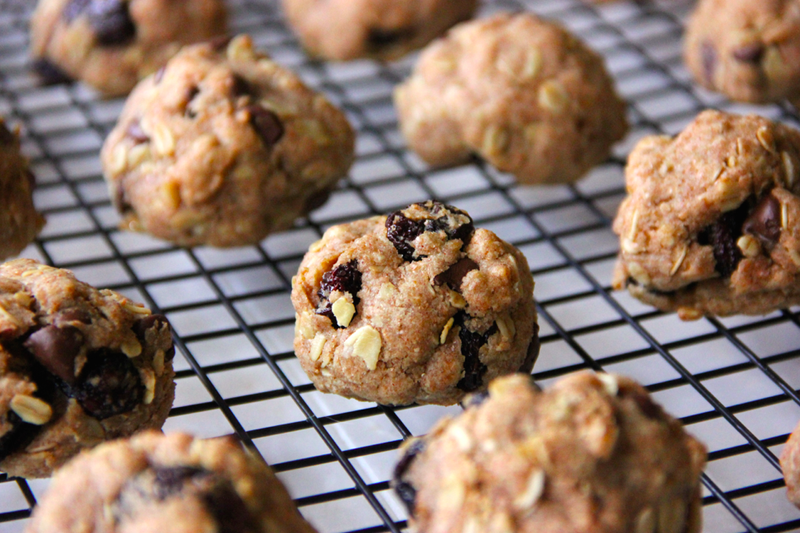 I’ve also been cooking and baking up a storm, and this week am sharing my absolute, most-favorite-of-all-time-in-the-history-of-ever go-to cookie recipe: brown butter rolled oat cookies. 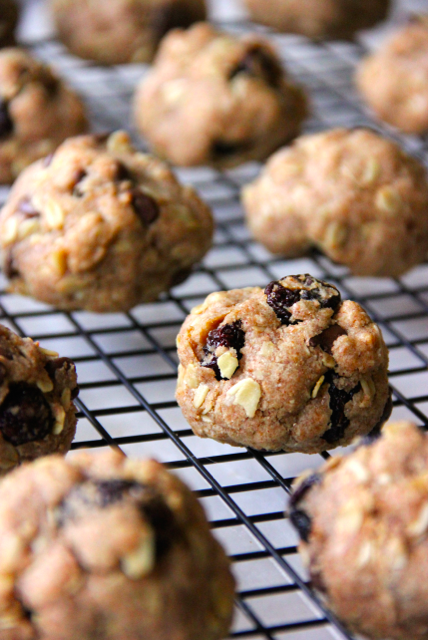 I love them in their most simplistic form, but added dried cherries and dark chocolate chips for a (delightful) change. As you and your loved ones immerse yourselves in the traditions of Christmas tree decorating, gift wrapping, holiday-card-writing, candy-cane-licking, light-untangling, mistletoe-kissing, dreidel-spinning and Elf on a shelf strategizing, I hope that these balls of happiness bring you some joy. 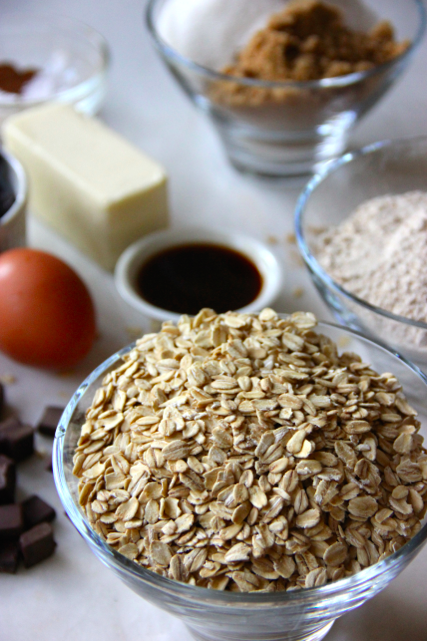 Combine the sugar mix with the dry oat mix, and add chocolate chips and cherries. 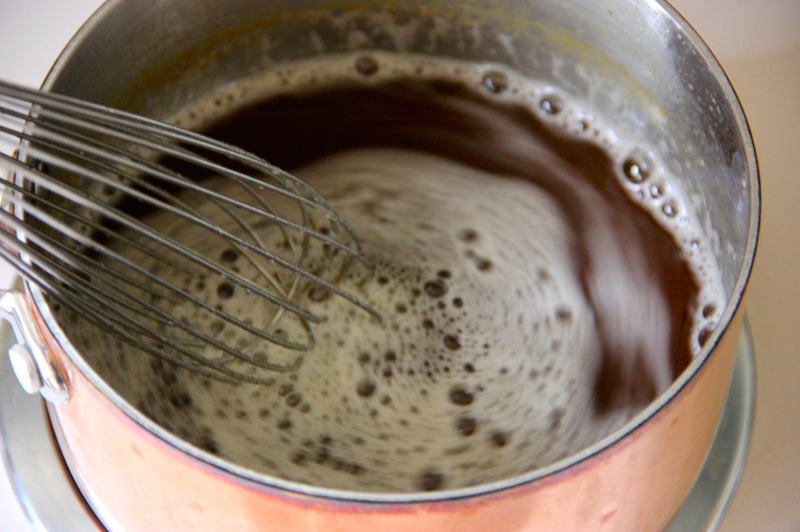 With your hands, mix the dough thoroughly and refrigerate for 25-30 minutes. Prepare a baking sheet by spraying with non-stick spray of your choice. 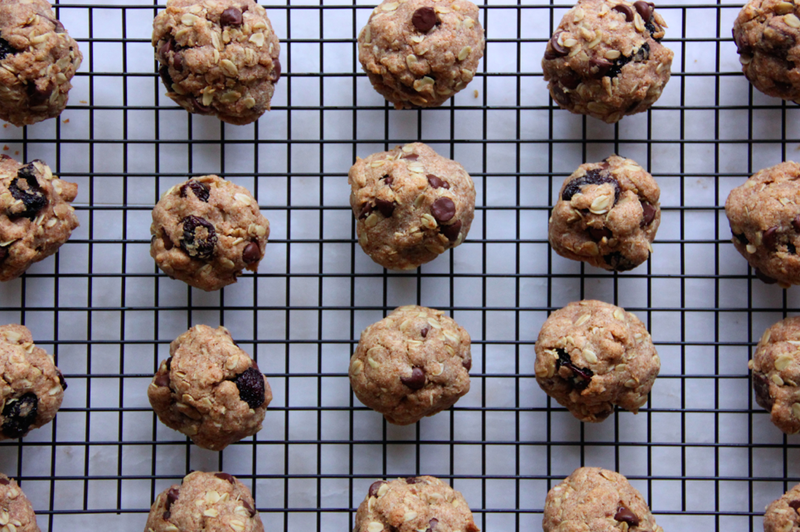 Remove dough from refrigerator, and form into 1 1/2 inch balls, placing approximately 1 inch apart on the baking sheet. Bake 12-15 minutes. Allow the cookies to cool for 10 minutes before removing from baking sheet and enjoy! 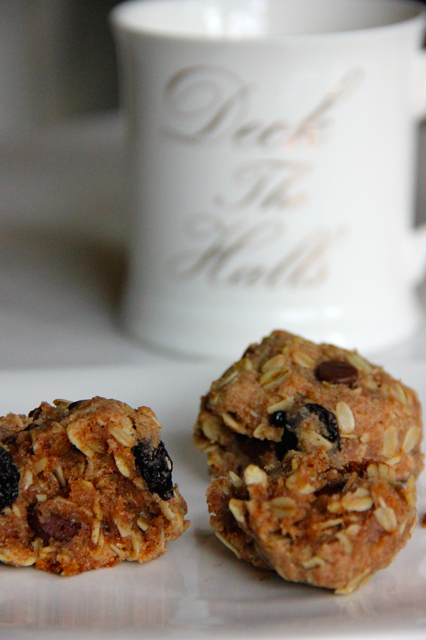 I adore oat cookies, these are on my list! They are a winner :) I look forward to hearing how you like them!